Kurt works with rigorous craftsmanship, an ability to manage complex visual challenges and an unyielding commitment to Cream Co. principles. 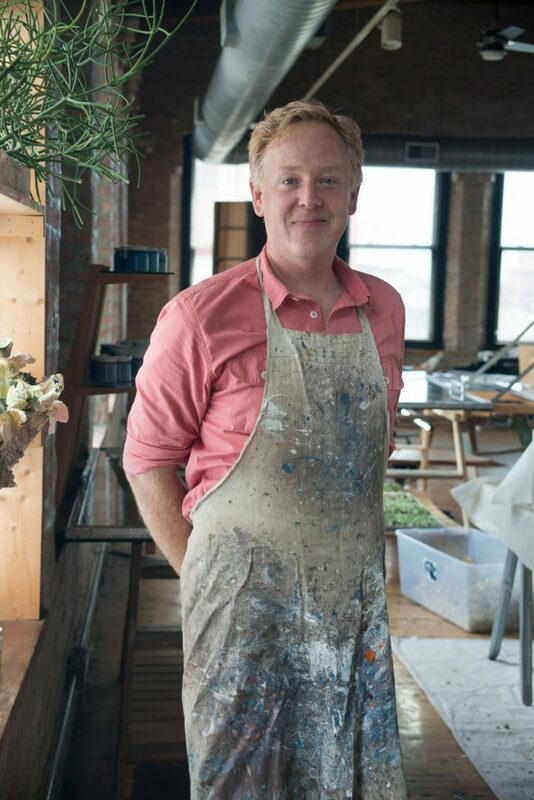 A leader in seeing the complexities of painting and in challenging notions of how paintings should be made, Kurt is also Cream Co.’s resident green thumb, often bringing plants back from beyond. In addition to solving visual puzzles for Cream Co., Kurt is quite the wordsmith. You will not want to be on the other side of the scrabble board against Kurt but you’ll have no better partner for the Sunday crossword puzzle. Originally from southern Illinois, Kurt has lived in Chicago for twenty years. He holds a Bachelor of Science in Accounting from St. Louis University and joined Cream Co. in 2003.